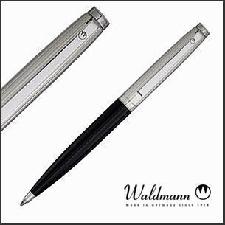 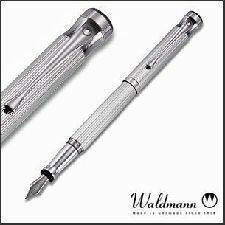 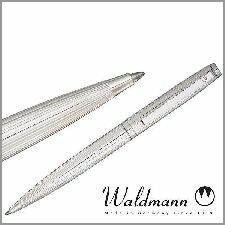 The Waldmann company's Sterling silver fountain, roller ball and ball point pens are marked by a design of timeless elegance, lasting value and supreme quality in workmanship and material. 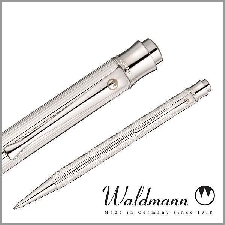 Made by master craftsmen, they are distinguished by their timeless elegance and unique expression of quality. 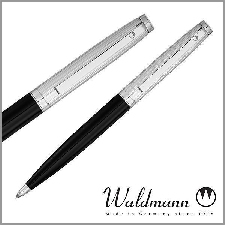 The focus has always been high quality materials, joined with excellent technical functionality, form, and design. 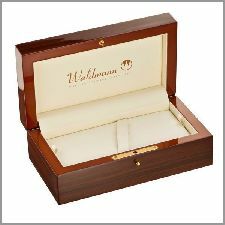 Each Waldmann pen comes in a beautiful presentation box and with a ten year guarantee.